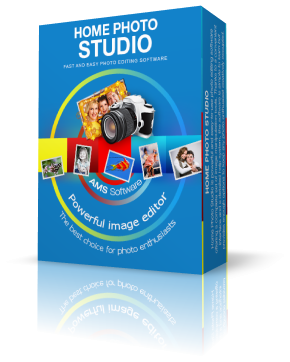 Home Photo Studio is an easy-to-use application for creative photo editing. Apart from the standard kit of tools needed for photo retouching and enhancement, you will find a huge variety of features for experimenting with your pics - masks, frames, decoration templates, all sorts of special effects... it's better to try than to read! The software can work with lots of photos at a time thanks to actions and batch processing. There is also a very convenient print module, specially designed for printing photographs.